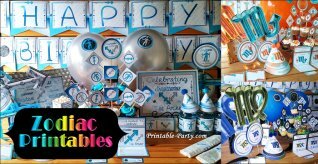 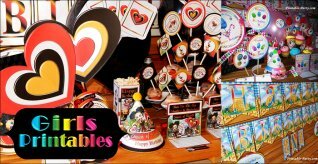 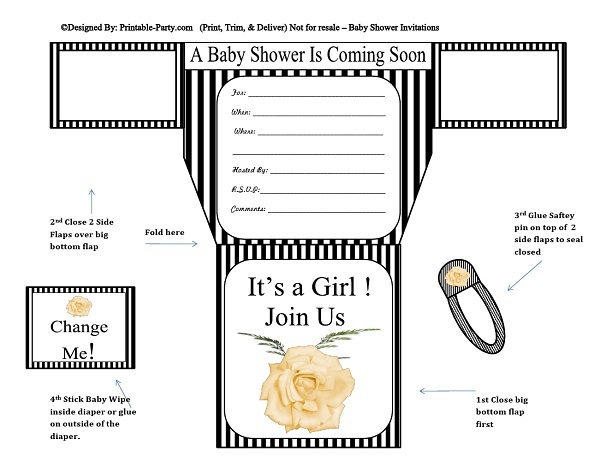 What Invite style do you need to create a lavish & stylish party? 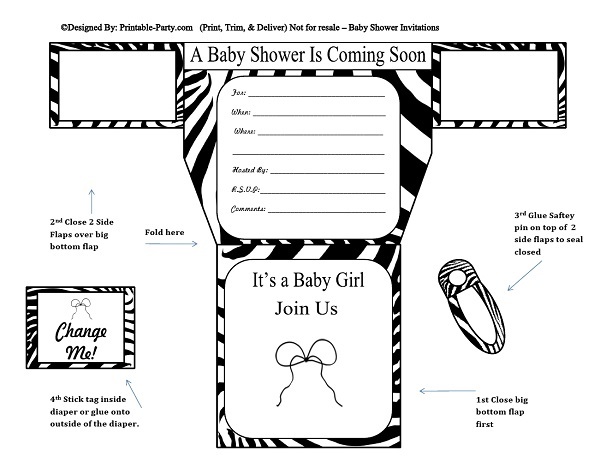 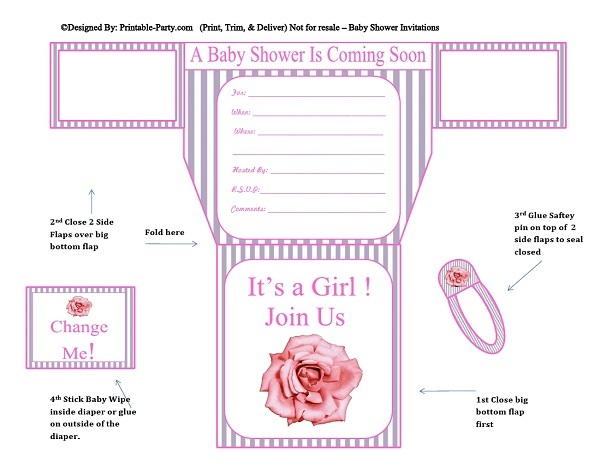 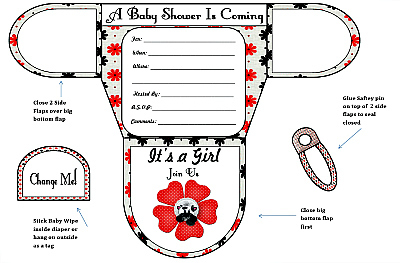 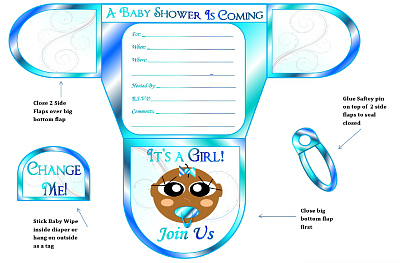 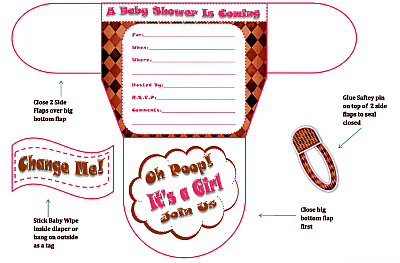 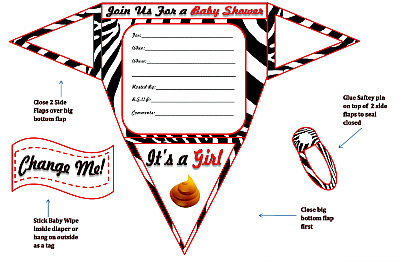 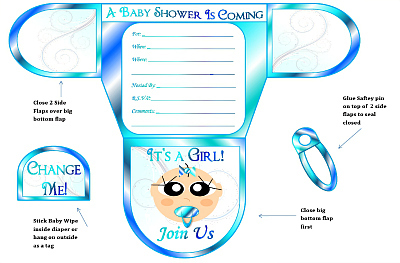 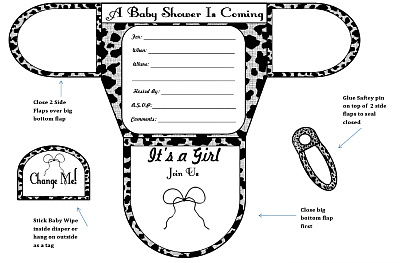 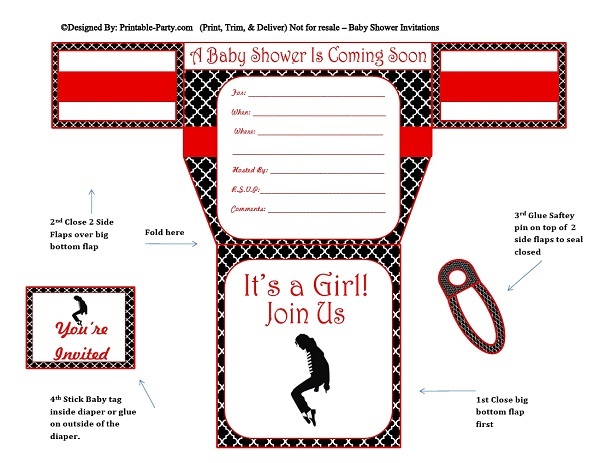 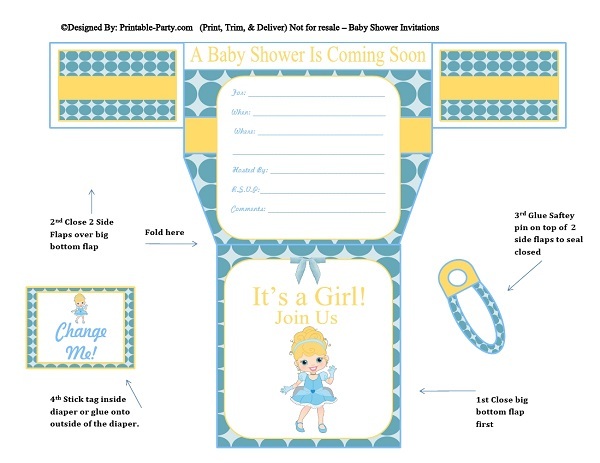 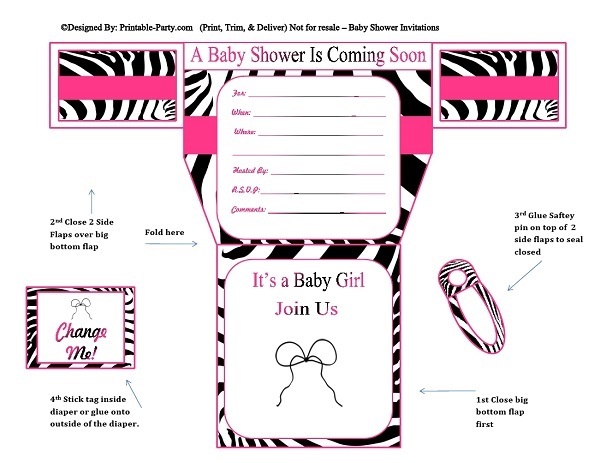 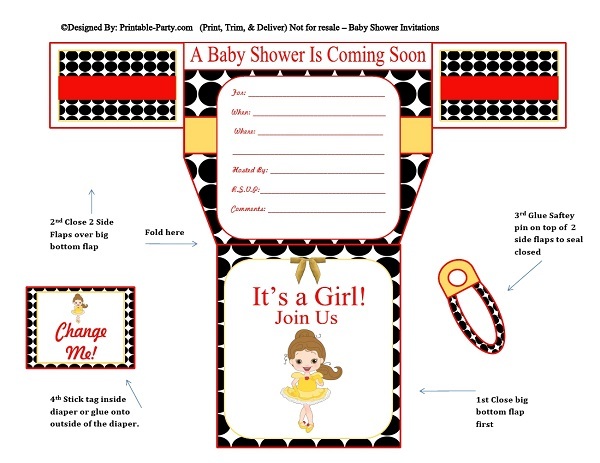 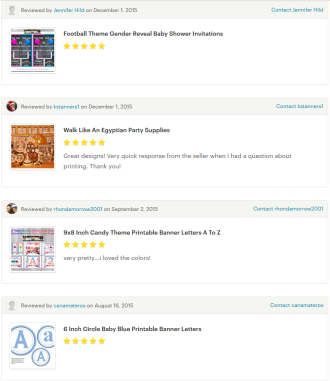 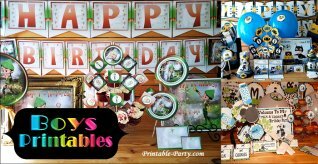 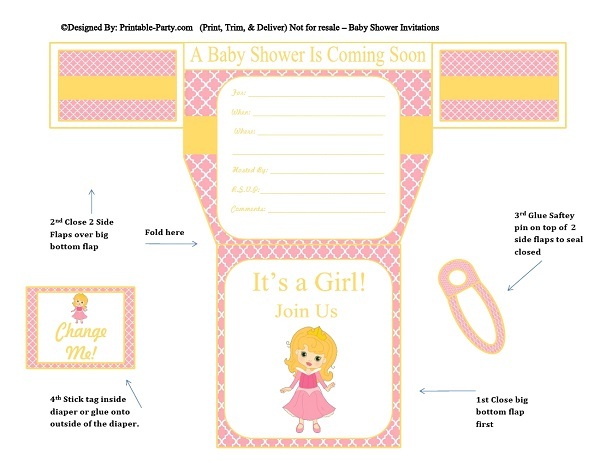 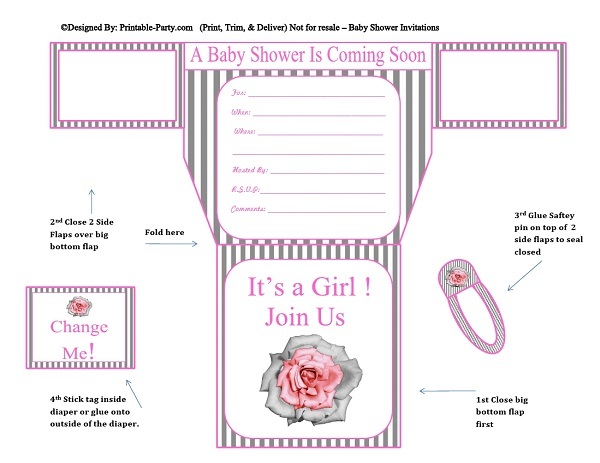 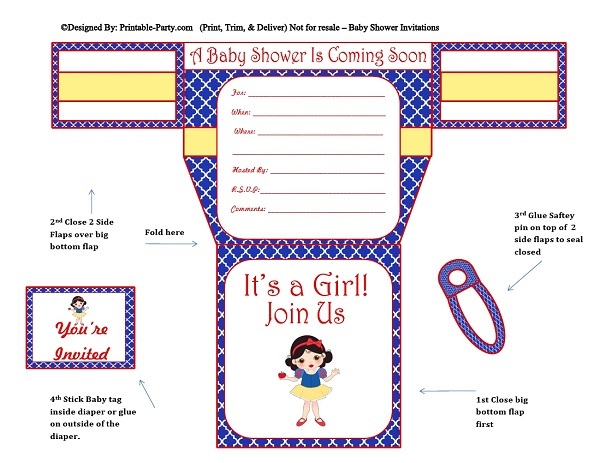 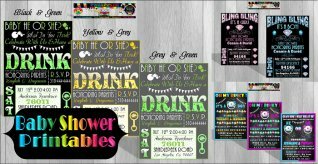 We have a variety of girls diaper baby shower invitations for instant download. All invitations here are uniquely designed in many themes, patterns, & colors. All diaper shaped invites have a classic white color on the outside of assembled diaper. The inside contains the theme & party details once opened. 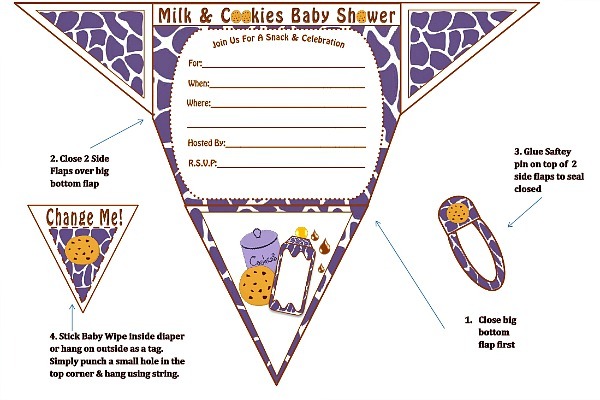 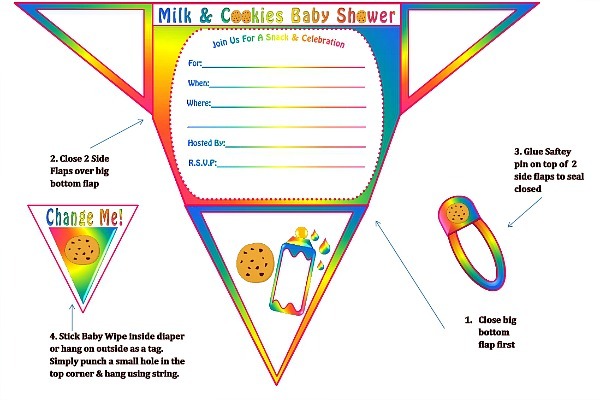 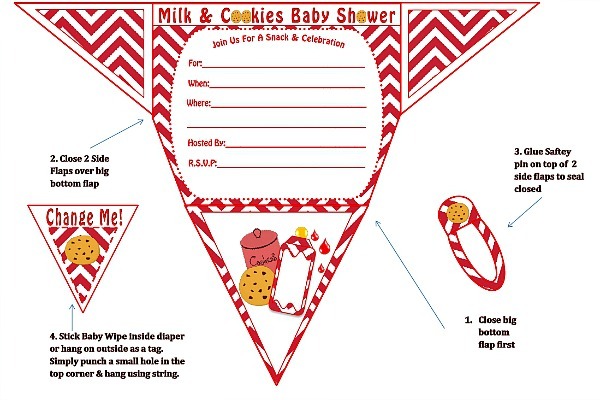 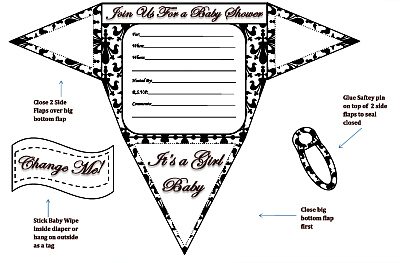 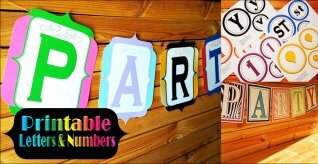 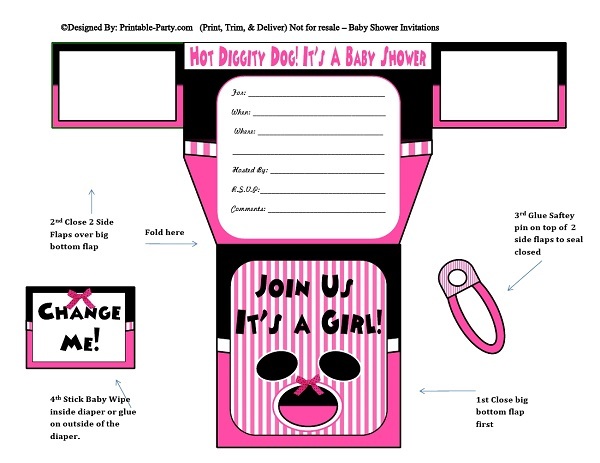 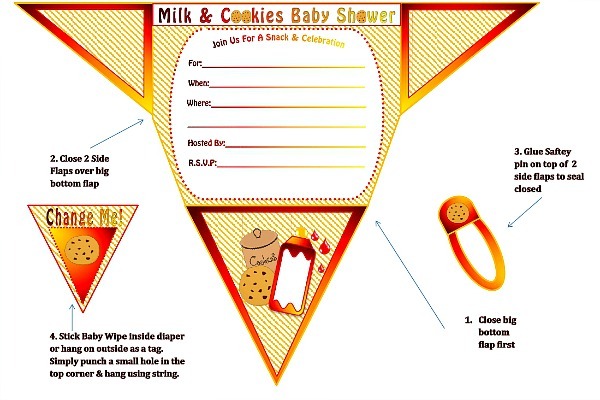 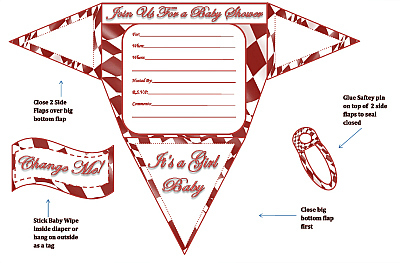 All printable baby diaper shaped invites are made to fold easily. 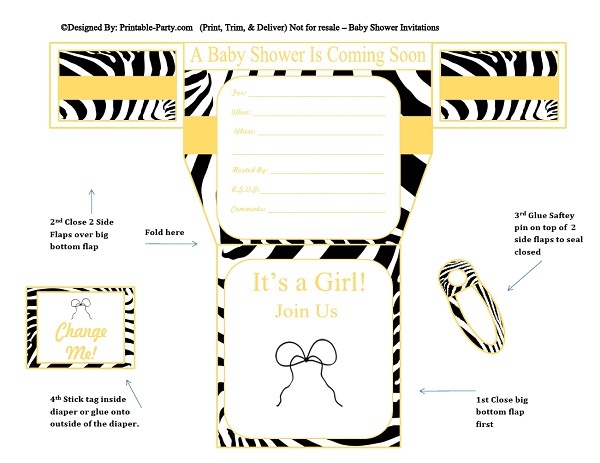 Every diaper includes a paper safety pin cutout & tag to attach to the invite. 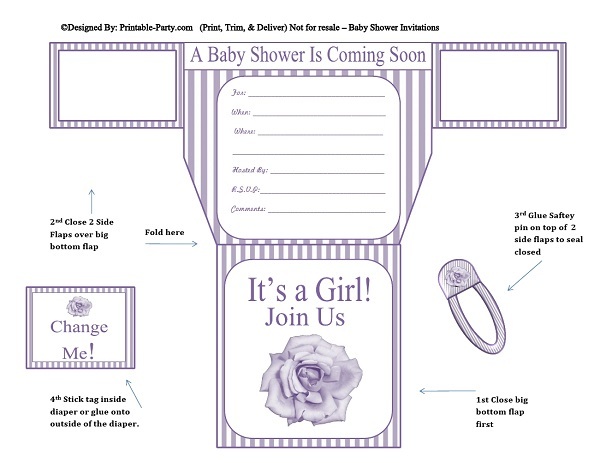 Every printed invitation paper includes full instructions on the same sheet for easy assembly.